The promos tool is a great way to entice potential customers to sign up for your subscription service. It's free to use and can help you earn more revenue in the long run. We launched promos six months ago and since then we've found that customers who sign up using a promo code are likely to stick around 13% longer than subscribers who don't. If you're not sure where to start with setting up a promo for your service here are some tips we've pulled based on the highest performing promos. How much of a discount should I offer in a promo? We give you the option to set your discount at 10%, 25%, 33%, 50%, or 66% off. Depending on your specific promotion you may vary the amount of your discount. However, across the board, we've found that 50% off promos perform the best. 25% and 33% come in just behind that. What length of time should I set my promo code? We give you a number of options here too. You can set your promo code to offer your customers the discounted rate for 1, 2, 3, 6, 9, or 12 months. When we looked at the top performing promos across all networks 1 month is the sweet spot and it's also the best performing discount length across fitness networks. With other genres though you may want to try a different time window. 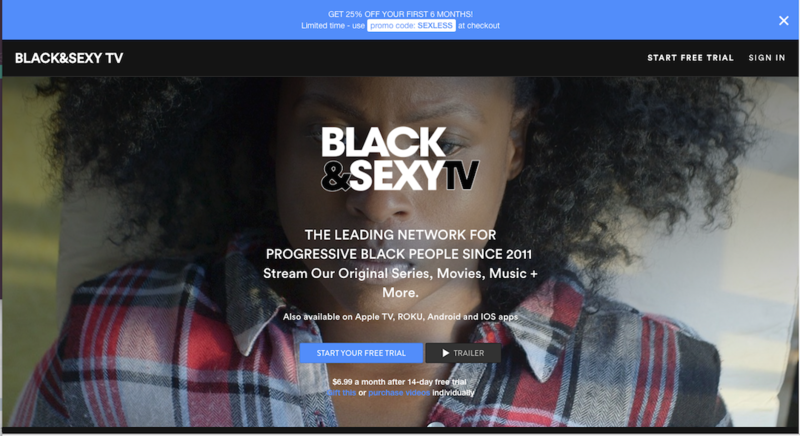 Entertainment networks that feature movies, series, etc. tend to be the most successful with promos when they offer them for 3 months. Instructional and faith networks do well when they set up a 12-month promo. If you're not sure what discount amount or length to set a promo for it's okay to play around. 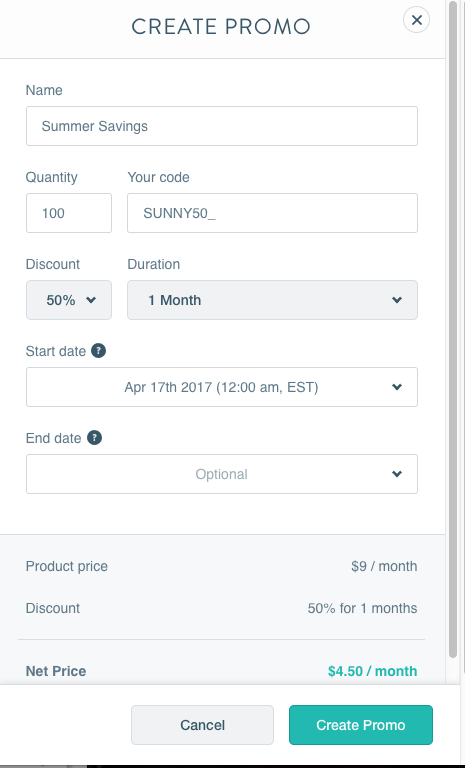 There is no limit on how many promo codes you can set up and you can choose whether to keep them active indefinitely or only offer them for a limited time. Do evergreen or seasonal promos perform better? Customers like to feel like they're getting a deal. Across all network genres, we've discovered that promos do better if they're only available for a limited time. You can play around with that by advertising a limited time promo during a certain month, holiday, or around a particular event. We allow you to set an end date on promo codes, but you can also manually deactivate it at any time. Later you can set up a new promo code and advertise around that holiday, event, etc. You can also use limited time promos to test different discount amounts and lengths if you're not sure what will work best for you. Whether you're offering a limited time or year-round promo make sure that your potential customers can find it by displaying it on your homepage banner and blasting it on social media. For more tips on how to promote check out our guide on boosting your sales with promos.